I often feature a post about now on the new vegetable seed catalogs finding their way into my mailbox, but this year I’ve been thinking about how much I actually use those printed seed catalogs compared to the websites that just about every seed company maintains these days. You could easily make an argument that seed catalogs are obsolete and unnecessary in this age of computers, the Internet, and with all the attention focused on going green and saving resources! Where better to go greener than an industry like organic gardening where we are more aware of the environment and concerns such as saving rain forests, reducing pollution, and recycling. One of my favorite heirloom seed sources; the Sustainable Seed Company has taken the unique position of not offering a printed catalog at all. In the interest of conservation and preserving resources they carry out their seed business via the Internet. I have mixed feelings on the matter, I believe it’s important to do all that we can to conserve resources, but I’m not totally opposed to printed seed catalogs. So far this winter I have received many catalogs from a variety of seed companies and nurseries. Can a Seed Catalog ever be Considered Junk Mail to a Gardener? Everyone from Burpee, Seeds of Change, Jung, Miller, Baker Creek, RH Shumway, Territorial, Johnny’s, Fedco, Southern Exposure, Nourse, Pinetree, Nichols, Seed Savers, Comstock, Cooks Garden, Terroir, John Scheepers, Maine Potato, the Maine Potato Lady, Select Seeds, and more have sent a catalog in my direction. A few of these seed catalogs came from companies that I haven’t ordered anything from for years, and in some cases from companies that I can’t ever recall placing an order with. Some seed companies automatically drop customers from their mailing list if there are no recent orders, but that doesn’t seem to be a universal policy. Other companies that I have ordered from do not necessarily follow up with a catalog mailing the next season. At the extreme end, are a few garden supply companies that seem to go wild and mail out catalogs just about every month in spite of maintaining an email contact list and a product website for their customers. 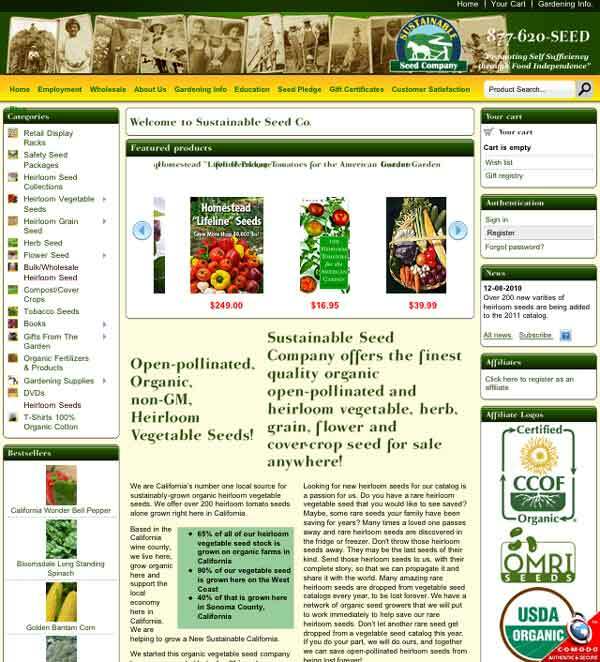 There are a few seed catalogs like the ones from Baker Creek Heirloom Seeds and Fedco that I would really miss, but in the majority of cases I rely on the company’s web sites to select and order seeds and don’t need or request a catalog. Sure, I could do without even my favorite seed catalogs but Fedco and Baker Creek in particular contain huge seed inventories and are used as references that I can refer back to from time to time throughout the year. I also have some old seed catalogs that I hold onto for sentimental reasons; like the black and white Seeds Blum catalog that I’ve kept tucked away for years. 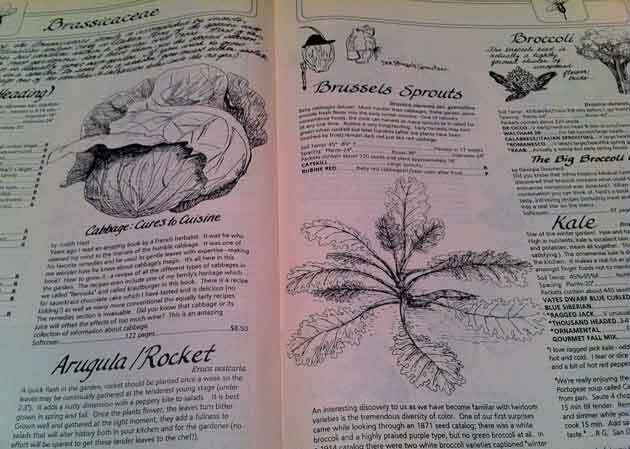 It was one of the first seed catalogs I discovered that was devoted to heirloom varieties and it is more like art work with all the line drawings and hand written notations. 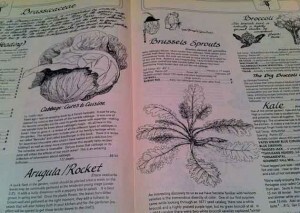 Seeds Blum is no longer around but their catalog still holds good memories! Seed companies use their catalogs as sales aids, promotional material, and friendly reminders to their customers, but maybe it’s time to create some sort of “Do Not Mail” list for gardeners who don’t need a printed catalog and prefer to shop via the web. Regulars could simply be notified by email when the online listings have been updated to reflect the new season’s offerings. How about an opt-out web page that will quickly remove customers from the mailing list but keep them in the loop when it comes to email notifications, updates, and special offers? Postcards could be used to reach out to new customers, invite them to visit a website or order a catalog if preferred, and save paper, postage, and resources all at the same time. Maybe a good policy would be to send printed seed catalogs only to customers that request them each year, and to discontinue mailing catalogs that are unsolicited or when a customer stops doing business with a company. How Much do You Use Seed Catalogs that Arrive in the Mail? I like and enjoy seed catalogs as much as any other gardener but I also realize that there are some that I really don’t get much use out of. Guess I’ll just contact the ones that I don’t really use and ask to be removed, but it sure would be easier to process that request through their websites. Do you still use seed catalogs, or do you rely more upon websites to browse and place your seed orders? Would you miss the printed seed catalogs if they stopped showing up? Have you received unsolicited seed catalogs or catalogs from companies that you don’t regularly do business with? Please share your own comments, ideas, or suggestions related to the pros and cons of printing and mailing seed catalogs. I stopped sprouting my own veggies years ago when the cost of seeds skyrocketed. I found a small local nursery (DeBaggio’s) with a wild selection of gardener’s delights and for the cost of a packet of seeds, I can buy the one or several plants I have space for, or try varieties I may have never heard of. 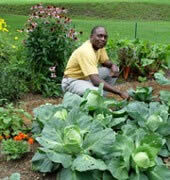 Then I go to Southern States or even the grocery store for packets of leafy greens or root seeds. A few perishable seeds I buy online from Sustainable Seeds, to support their operations. Most of the catalogues that arrive I may leaf through once and then toss into the recycle bin. There are fewer and fewer that I actually order from any more, finding what I need elsewhere or online. But what would I lose in dreams and inspiration if these did not arrive in dead of winter? Could I still curl up by the window with a hot tea in a comfy chair and leaf through pages of bright colored pictures of perfect fruits, veggies and flowers? Like the newspaper at the breakfast table, there are comforts to having something tangible to leaf through, read and re-read. Then I reach for the phone and make my call, and place my order. Later, I can return to those imaginary gardens so unlike my own. But yes, most companies should delete us voluntarily if we do not order for, let’s say, three years. We are sending a message they’re not getting. What a hot topic! I would really miss my seed catalogs if they came to disappear. I use them to discover new varieties, teach my daughter about vegetables (Baker Creek’s catalog is a wonderful teaching material!) and for growing pointers (Seeds of Change and High Mowing seeds are great for that). I don’t think there is a substitute for catalogs. A good compromise would be to feature some of the varieties on a catalog and refer to the website for more varieties. I do my ordering online, but I like to choose my seeds by browsing the catalogs. I, too, would especially miss the Baker Creek catalog; I saved last year’s catalog even though I received it too late to order from, just for the pictures! Some of the catalogs I get I just toss, but looking through my seed catalogs each January, curled up in my favorite chair with a nice cup of tea is one of my winter rituals that I’m loathe to give up. Please don’t make me do it! They bring a little bit of springtime to my otherwise dreary, gray weekends. Hi Barb, I get lots of inspiration from the veggie seed catalogs also… sometimes too much when I order more seeds than I can fit into the garden come springtime! Jimmy, I love the seed catalogs too, but sometimes for me it is a time saver to browse and order all at once while sitting at the computer vs. leafing through the catalog, making selections, and then actually placing an order. Thanks for the feedback Estelle and I love all three of the seed catalogs that you mentioned! Don’t worry Elyse, I would never try to take that Baker Creek Heirloom Seed Catalog away from you! I also order everything on-line now, but I would much rather turn physical pages than stare at a computer screen. But if I’m honest they probably don’t inspire me to order anything that I wasn’t already going to purchase. I always end up ordering online, but I LOVE paging through the catalogues. I can spend hours going through catalogues, making lists, comparing prices and quantities, etc. I would miss the catalogs. I use them to shop around, decide what I want, compare pricing and then I generally purchase online. The site of these catalogs as they arrive put a little spark in my heart telling me that Spring is coming and that the cold weather will soon be behind me for another year. I wouldn’t consider myself a new gardener and won’t be at master gardener status for years to come. What I am though is greatly encouraged and enlightened by the catalogs I receive (especially in the thick of a Minnesota winter). As you mentioned in your post I still wonder myself how I ended up on some of these lists as I have never ordered a thing from most of the catalogs I receive. Yet they inspire me to get out of my comfort zone a little and to try something new. For pricier items I find that I may even be able to find them elsewhere, or later in the year when they are on discount whether a seed packet or a live plant. The valuable information contained in these catalogs is priceless and I am encouraged to research more online or at the library when something really peeks my interest that may work in my region. I agree with the last post by Barb Keeler though too. If I haven’t ordered in say 2 to 3 years drop me from the list. Hi Steve, I’m with you and get the same amount of inspiration in terms of which seeds I purchase no matter if I browse a catalog or shop on-line… they both motivate me to buy the seeds that I’m interested in. Daedre, sometimes I’ll spend too much time going through the catalogs and often find myself going through the same catalog several times before I’m done! Hi Jane, the seed catalogs are great for warming the soul and helping to get us through those bleak weeks when the garden is covered with ice and snow. That’s a great point Tina, the printed catalogs do make it easy to do a little price comparison to see where you can get more value for your dollar. Something that’s important as seed prices continue to rise. I would miss the catalogs so much! As the previous poster said, deep in a Minnesota winter, they are one of the things that helps me get through it… I love reading carefully through each plant description. If I’ve grown that variety before, I enjoy seeing whether my experience matches the description, or I get to meet a new variety, or just jog my memory about a variety I’ve seen before but haven’t tried yet. On a website, I’d have to click to a new screen to see each variety and I tend to only click on the ones I already am interested in. This winter, my 3-year-old son has started curling up with me as I page through the catalogs – he loves pointing at the different kinds of vegetables and announcing their identity (when he recognizes them from last year’s garden), or asking me all about the unfamiliar ones. Finally, between the family and work I rarely have time to sit still at the computer; a printed catalog I can read on the bus coming home, or at the kitchen counter as I wait for dinner. I so look forward to getting my catalogs in the mail in Jan & Feb. It’s about the only thing that is exciting about the first two months of the year. My stack is right beside my bed so I can look at them & dream about all the different things I want to plant. I start to circle certain things and then by the end of Feb. I have most of my list done and I’m ready to go. I love my catalogs!! I could be weaned off of catalogs pretty easily. I regularly buy seeds from some companies from which I’ve never received a catalog. I found them on the web, I look extensively through their offerings online, and I order online. 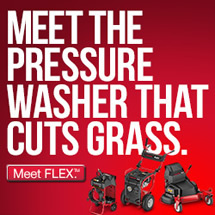 I do enjoy looking at catalogs, and occasionally I find something in them I didn’t notice on the company’s website, but really — it’s a matter of habit. I think we could learn to adjust to no or few catalogs. That said, if seed companies wanted to mail me something brief with just their new offerings, that would be helpful. Even better: a webpage that’s devoted only to what’s new. I could more easily see what’s new. I’ve been gardening for over 30 years, and I don’t need to see every darned thing every year. But entire catalogs every year of everything? Not necessary. And if we gardeners love the earth and all who live on her, I think we need to commit to some changes to save resources. I do give away paper catalogs when I teach classes on gardening — newer gardeners seem to appreciate them. But they could also be retrained to enjoy them online just as much! Hello Meghan, I agree that the seed catalogs are much more flexible, convenient, and portable compared to being tied down at a computer. 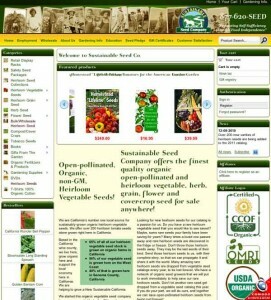 Then there’s the issue that many of the seed company websites are really not user friendly when it comes to browsing. Some require way too many clicks to sort through and just aren’t laid out in a manner that could streamline the whole process. Stacey, may your garden this spring be as productive as your dreams after you finish going through that stack of catalogs! Thanks for the feedback Debbie, my biggest complaint is with the catalogs that come unsolicited that I am really not interested in. That’s a great idea to recycle old catalogs by sharing them with other gardeners at classes, workshops, club meetings, etc. They get to discover new seed sources and can decide whether to visit the company’s site or request their own catalog in the future. 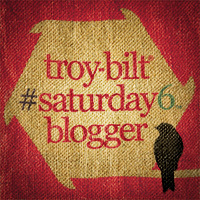 This is a great topic and I have also written a blog post related to it(http://bit.ly/g9MHi4). Almost all of the people commenting have said they like ordering online and, at the same time, enjoy sitting down with paper catalogs. I certainly understand this. I feel the same way. What many haven’t considered is the impact that iPads and other cheaper tablets will have on catalogs. You can really enjoy reading a catalog on an iPad and the experience will get much better over time as seed companies make their online catalogs better. I know that some people love paper catalogs the way they did getting a letter in the mail. I enjoy getting hand written mail (not bills) too, but I can’t remember the last time I did. That said, the costs of paper to the environment, as well as the dollars and cents costs of sending it via snail mail will be too much. Expect to see paper catalogs go the way of vinyl records, video tapes and getting your paper checks back from the bank. That’s an interesting idea Bill, it would be great to have iPads or tablets that could duplicate the experience of sitting down with a printed catalog. Maybe that will be the ultimate solution down the road. I love my seed catalogs. They go many places with me, tucked in with my laptop and my knitting. My children and I have them dogeared within a week, exclaiming over the colors and the variety, carefully choosing what we’re going to plant after several changes of mind,naturally. As much as I love my catalogs I’m certainly not sentimental when I say that I’ve never had the catalog suddenly lose my carefully crafted and saved list, charge my card twice; it’s far less confusing for me to compare items in two catalogs than it is on two websites and no matter how poorly laid out and confusing a catalog is I can just write items of interest and the page numbers on the cover. Lately I do my actual orders online but my children insist on filling out the order form still, and I think I’m going back to it myself. Enjay you bring up a very good point about completing our orders on web sites. If all of us enjoy catalogs so much, we need to let the companies KNOW that we used their physical catalog as enticement to place our online order. I suggest we all make a note in the “comments” box of our online orders thanking them for sending a paper catalog and encouraging them to continue printing them into the future. I think a lot of people still love printed catalogs, that’s why we still send them (neseed.com). It’s much easier to flip pages to see if something catches your eye than to navigate page after page on a web site-no matter how good the navigation is. Plus with all the varieties available, navigation can get tricky and customers may miss varieties they might have liked. Right now, I think there is room for both.